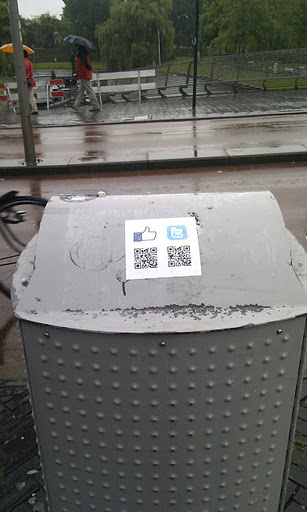 Some of the best applications of QR in marketing is when it appeals to a very basic human instinct: curiosity. The image of the code itself should make people wonder what’s behind it, or: what more can they find out? Below some intriguing examples. cled. In June last year, the company introduced The Recycling King Challenge, adding 10,000 new recycling bins and registering them to the Facebook Places index. Fans were encouraged to ‘check-in’ to these bins and take a photo of themselves recycling their bottles, with the most active participant crowned ‘The Recycling King’. Thousands joined in and ultimately 26,000 photos were uploaded by users and more than 250,000 check-ins listed on Facebook Places. Many Real Estate agents in the Netherlands are now using the Taggle QR platform to automate the enrichment of their print ads and (digital) out of home campaigns. When you only provide the bare minimum price information on the ad, only interested prospects will scan the QR. Which is exactly what you want. 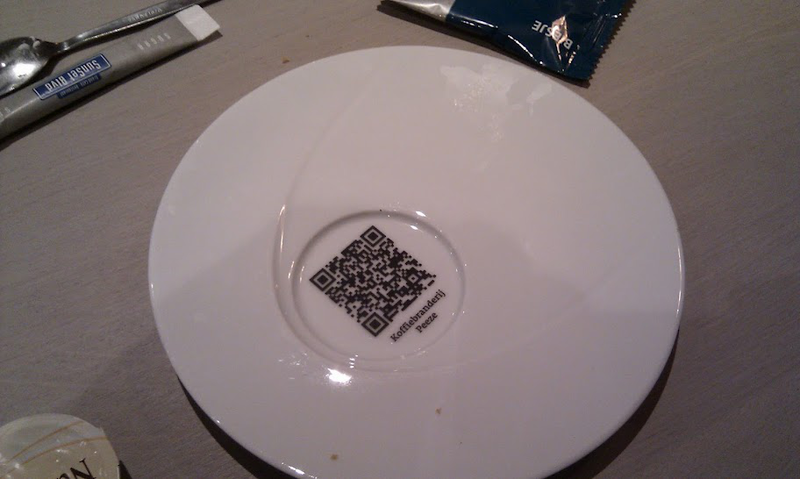 When you pick up your first cup of coffee made from beans from this coffee-roasting factory you’re treated to this QR code in the dish. The phenomenal example of a location based campaign that it leads you to (see elsewhere on this blog) only confirms the quality of the agency involved. 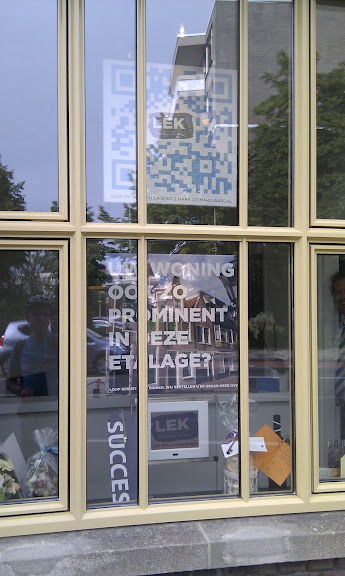 More examples of great QR campaigns on the QR Wall of Fame! Or if you want to avoid some of the most frequently made mistakes, check out the QR Wall of Shame.